The Jamie Lloyd Company’s star-studded season opened to acclaim in September and will run until 23 February 2019, featuring ALL of Harold Pinter’s short plays. 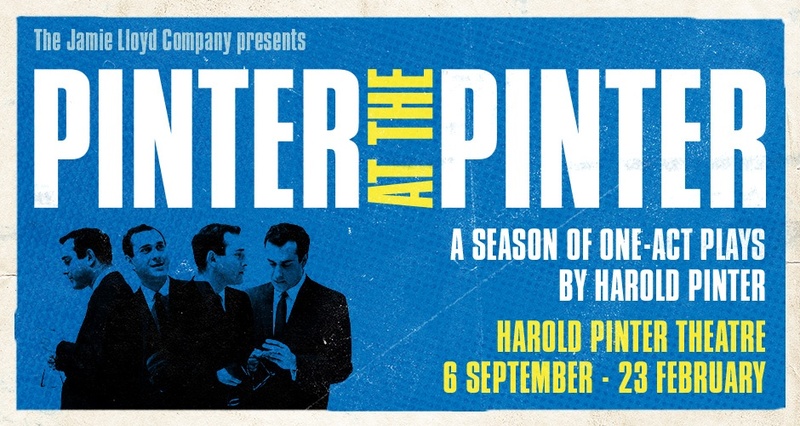 This unique theatrical experience, happening entirely at the Harold Pinter Theatre, celebrates Pinter’s life and work ten years after his death. The company of world-class creatives who have appeared in the season include Danny Dyer, Martin Freeman, Rupert Graves, John Heffernan, Tom Hiddlestone, Jane Horrocks, Celia Imrie, Katherine Kingsley, Tracy-Ann Oberman, John Simm, Nicholas Woodeson, and many more. There are seven productions in total, each with their own unique feel, so seeing one does not mean you’ve seen them all. We look forward to welcoming you soon!